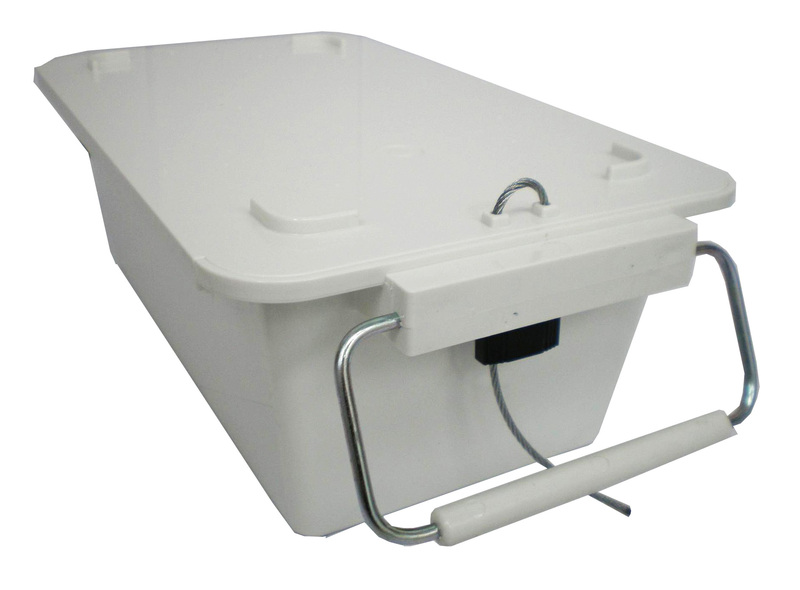 The GB Box has been designed as a Secured carry box, manufactured from High Impact Plastics and fitted with plastic coated reinforced metal handles to carry heavy contents. 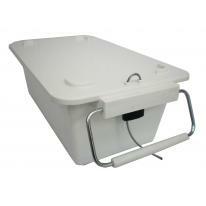 The GB Box has a Tamper Resistant slide-on Security lid, with one secure sealing point. The sealing point on the GB Box can be used with either Metal Barrier Seals or Plastic Indicative Seals, making the GB Box easy and cost effective to seal. The GB Box has also been designed with space saving features; the form fitted base and lid allow the boxes to be nested when empty and stacked when full. The GB Box can be used to carry a wide range of High Security goods, including Bulk Coin, Cash Handling, Gold Bullion, Jewellery, High Value Retail Goods, Duty Free Goods, Medical and Pharmaceutical Drugs. 1. The slide-on lid is tamper resistant and can be sealed. 2. Plastic coated metal fold-down handles. 3. High Impact ABS Plastic box and lid. 4. 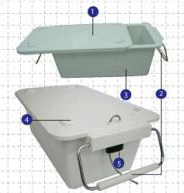 Lid design allows for stacking boxes on top of one another or nested into one another to save on space in transit. 5. One secure sealing point which can be used with either Metal Barrier Seals or Plastic Indicative Seals.